For years, new hires to Google’s employment team were given their choice of desktop computer operating systems. They could go with Windows, Mac, or Linux. However, starting now, one of those choices has been eliminated from the list. At the Googleplex, Windows has been banned from use by new employees. The linchpin of this move was an attack on Windows-based PCs last year that allowed some of Google’s closely-guarded source code to be stolen by hackers. That was the event that finally pushed the search engine giant off the Windows bandwagon and onto a more secure operational platform. Some employees, like developers, will still be allowed to use Windows-based machines in the course of their duty, but they have to obtain special permission to do so. I’m not sure if older employees will be allowed to keep their Windows PCs until they wear out or are upgraded to Google Chrome OS, but I’d imagine they will be able to. Google will begin gently nudging employees towards in-house developed operating system Google Chrome OS later on in the year. It’s awfully interesting how the timing works out for this, isn’t it? 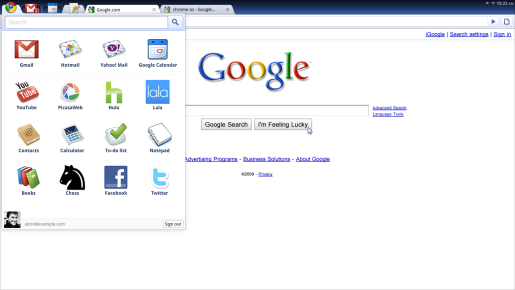 Just about the time Chrome OS is due for public release, Google starts to push their employees onto the platform. Funny, huh?